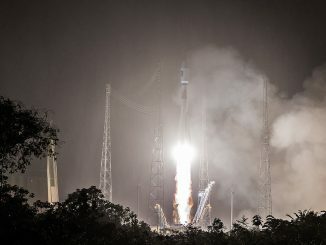 Two more Galileo satellites successfully catapulted into space from the French Guiana jungle aboard a Soyuz rocket Tuesday, putting Europe’s multibillion-dollar navigation system on track to begin limited global service later this year. 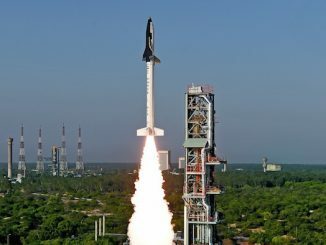 A prototype for a future winged Indian spaceship took off early Monday on a suborbital flight 40 miles over the Bay of Bengal and steered itself to an on-target splashdown, testing a heat shield and guidance, navigation and control algorithms. A Russian-built Soyuz rocket lifted off from South America at 0848 GMT (4:48 a.m. EDT) Tuesday with two new navigation satellites for Europe’s Galileo system, readying the network for initial operating capability later this year. 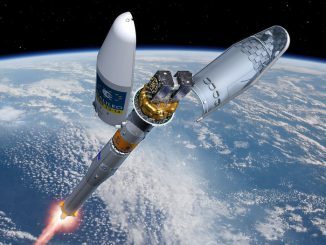 The 13th and 14th operational members of Europe’s Galileo navigation satellite network are set for liftoff Tuesday aboard a Soyuz rocket from French Guiana. 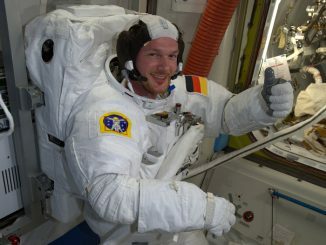 Track the progress of the flight with this timeline of key events. 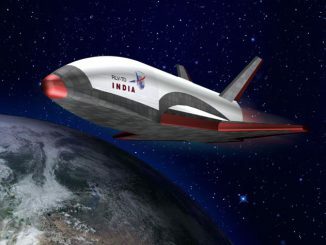 India’s space agency plans to boost a sleek winged prototype spacecraft into the upper atmosphere aboard a solid-fueled rocket early Monday on a brief test flight that will end with a controlled, unpowered glide to a simulated runway landing in the Bay of Bengal. 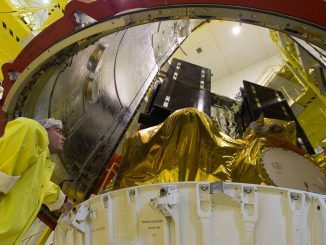 Europe’s nearly $8 billion Galileo navigation system, an analog to the U.S. GPS satellite network, is hitting a stride in production and launches, with another two spacecraft encapsulated Wednesday inside the fairing of a Soyuz rocket for liftoff next week. If you look at the night sky this month, chances are you can’t miss Mars rising in the east like an orange beacon each evening. 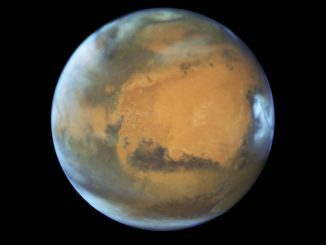 Scientists recently aimed the Hubble Space Telescope at the red planet, producing a dazzling image of bright Martian ice caps, rust-colored landscapes and clouds hanging in its rarefied atmosphere. 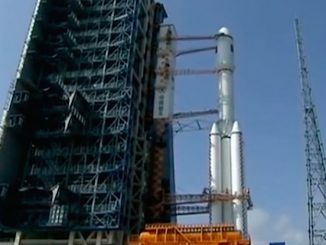 China plans to launch its first Long March 7 rocket, a new kerosene-fueled booster capable of carrying supplies to the country’s planned space station, by the end of June on a test flight that will reportedly loft an unpiloted prototype of a future crew capsule. 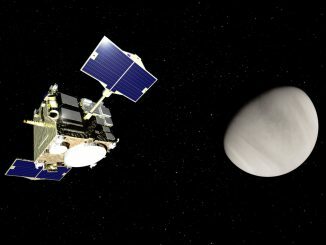 Five months since a belated arrival at Venus, Japan’s Akatsuki spacecraft has officially started a modified scientific survey of the sweltering, shrouded planet’s atmosphere and climate.